Sharing the journals I made to exchange with my friends for our “We ❤ Mail Art” group, after trying out a new gel plate image transfer technique! The journals I’m sharing here were made as part of an exchange for a small group I’m part of, “We ❤ Mail Art!” - The first step of the exchange was for my friends Jo Urbani, Julie Welsh and me to create magazine resist image transfers with the Gelli Plate. This was a new technique for all of us that took a little bit of trial & error to master . . . I wrote about my first try doing the technique in a post here. After we all created gelli prints with this technique, we sent some to each other! Our challenge then was to create something with the exchanged prints and send the finished piece to each other, complete with mail art! Below is a gallery of the journals I made: one for me with the original prints, and 2 with color copied pages for Jo & Julie. 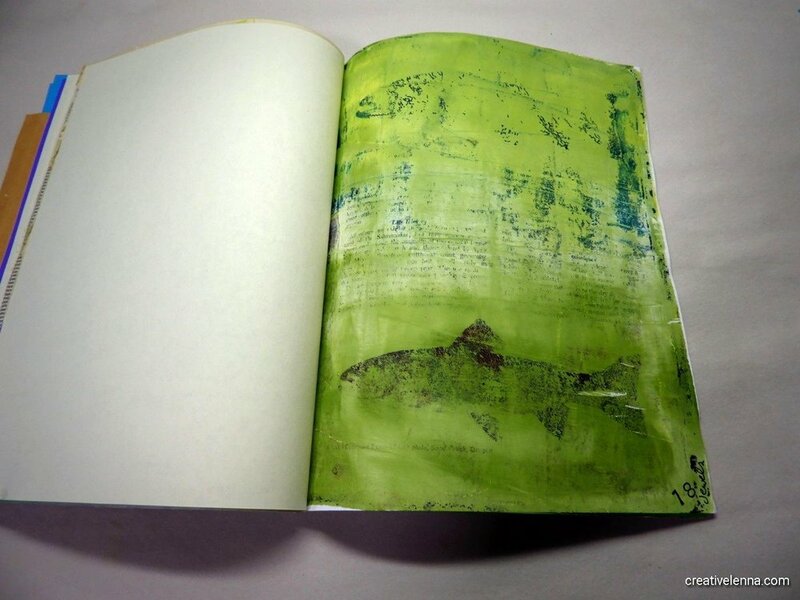 The covers are all original gelli prints. Below the photo gallery is a video I made about making the journals with an overview of some of the many exchanges the three of us have done through “We ❤ Mail Art” since 2013. Bonus: Here’s a link to a blog post showing what Julie & Jo sent me via this exchange! A note to explain why "a Journal"